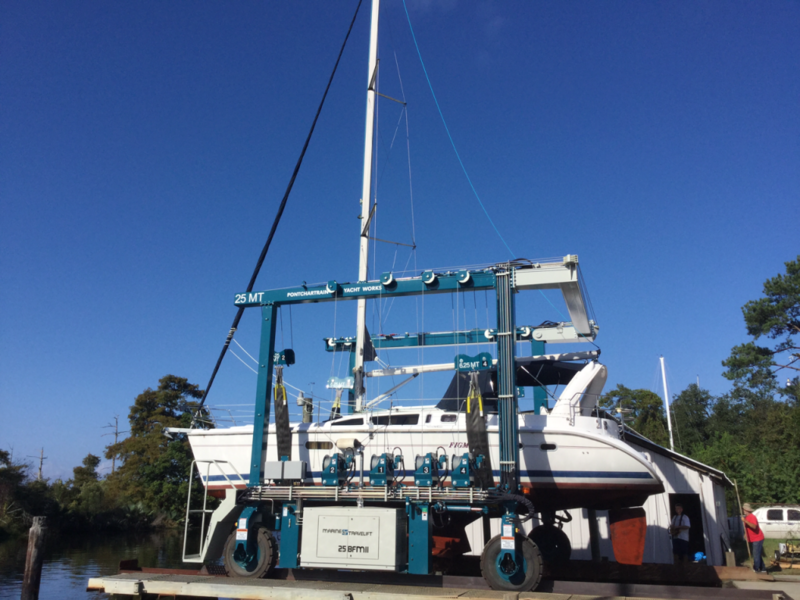 New Marine Travel lift has arrived! n Bayou Castine with easy access to all marinas and Lake Pontchartrain. When you suspect you have a problem with your boat or trailer, you can call our team. We offer 24-hour emergency service and can tow you to our yard. We will run a full diagnostics test and determine the exact problem to get you up and back on the water. Pontchartrain Yacht Works also offers retail items for sale, such as rigging, plumbing and decking hardware, maintenance and cleaning items, boat repair materials, electrical parts, line, rope, and more! We have also amassed a collection of salvaged parts, some of which are usable at a fraction of the price of new. You may find an obscure piece you haven’t been able to find anywhere else! Contact our team any time you have an issue. We are happy to offer our professional, seasoned expertise to ensure your boat is operating at its best. Pontchartrain Yacht Works is located in Mandeville, north of New Orleans on the northshore of Lake Pontchartrain. We want to be your one-stop shop for boat repairs in our full service yard. We are locally owned and operated on Bayou Castine with easy access to all marinas and Lake Pontchartrain.